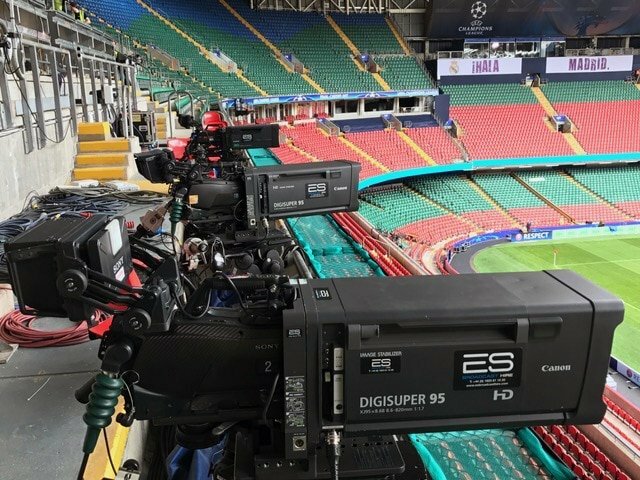 Last Saturday saw the culmination of the 2016-17 UEFA Champions League with the final at Cardiff’s Principality Stadium – and a number of lenses from ES Broadcast Hire’s HD and 4K lens hire fleet were there to capture all of the action. 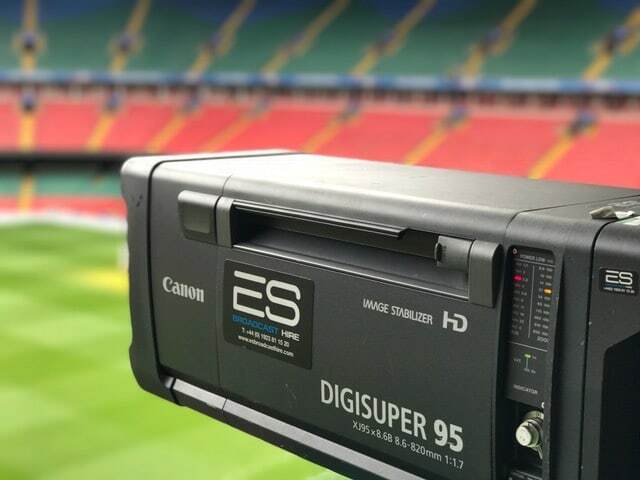 The final is one of the most-watched sporting events in the world, and this year was shown in the UK both on BT Sport’s UHD and HD channels, and via a free live stream on YouTube. 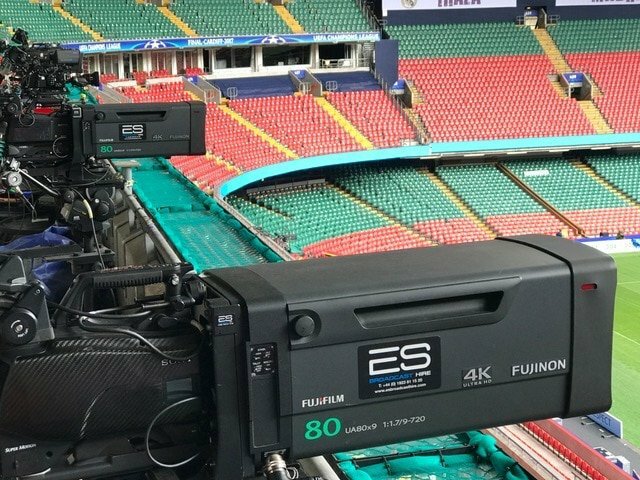 Both HD and 4K lenses from our 300-strong lens hire fleet were used for the live coverage, with several Fujinon UA80 4K lenses and half a dozen Canon XJ95 HD lenses included in the box lens line-up. A pair of Fujinon UA22 ENG lenses were also in use. Real Madrid ran out 4-1 winners over Juventus to defend their title, with Cristiano Ronaldo, the all-time record goal scorer in the competition, bagging a brace to become the first player to score in three finals.